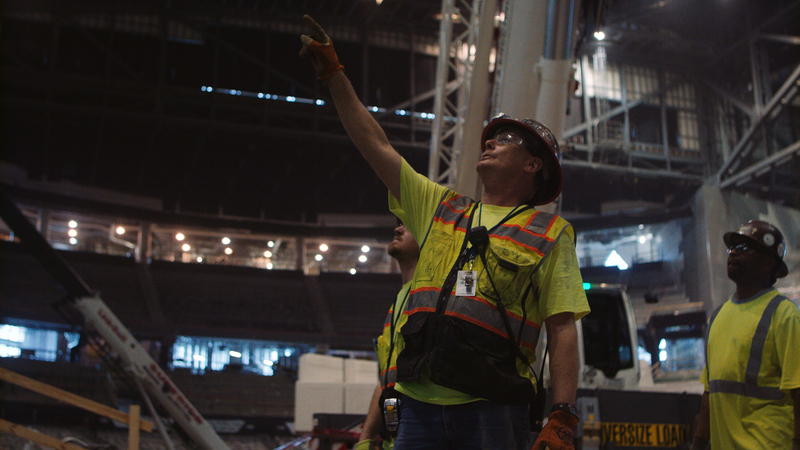 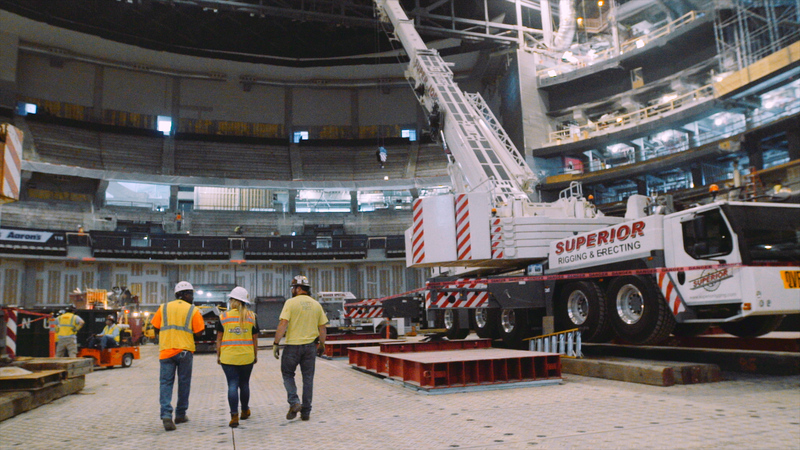 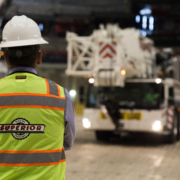 Superior Rigging & Erecting had the pleasure of leading renovations at Philips Arena in Atlanta, Georgia, which hosts the Atlanta Hawks and various concerts and events. 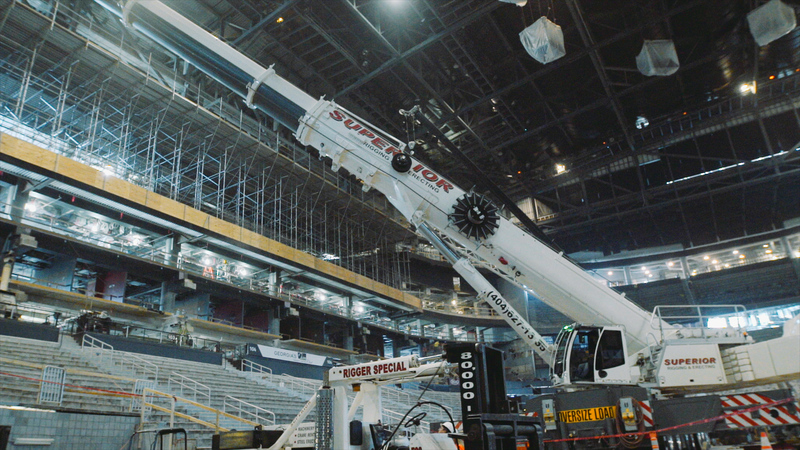 It was the 2nd largest arena renovation in the world second to Madison Square Garden. 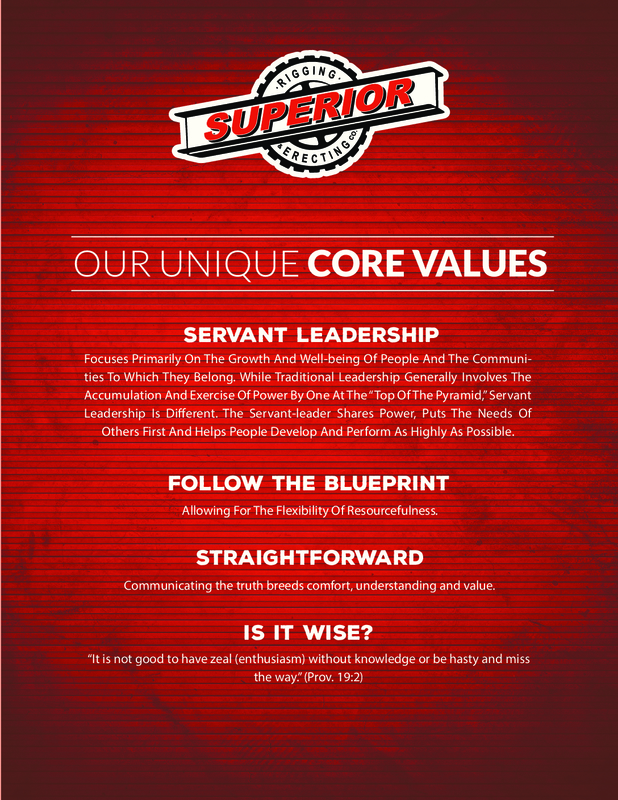 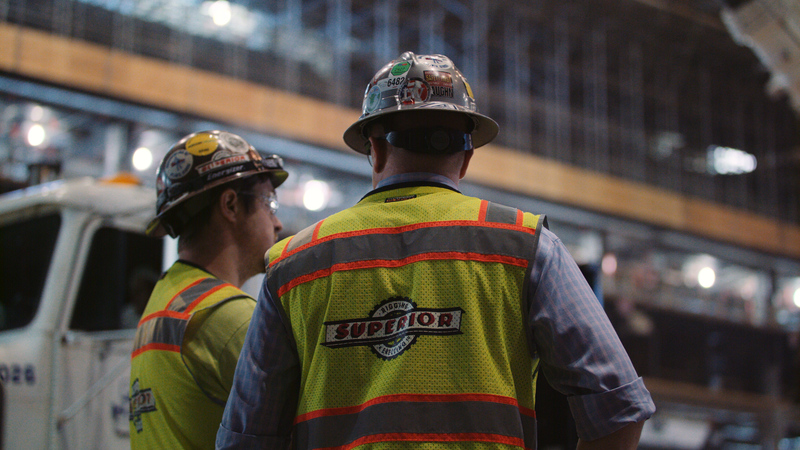 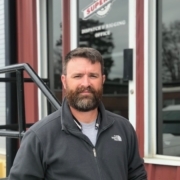 According to Jason Romine, the project manager at SteelFab, Inc., surveying restrictions and construction schedule posed two critical problems for the renovations, however, Superior’s role in defining a realistic delivery schedule that was accurate was critical to the success of the project. 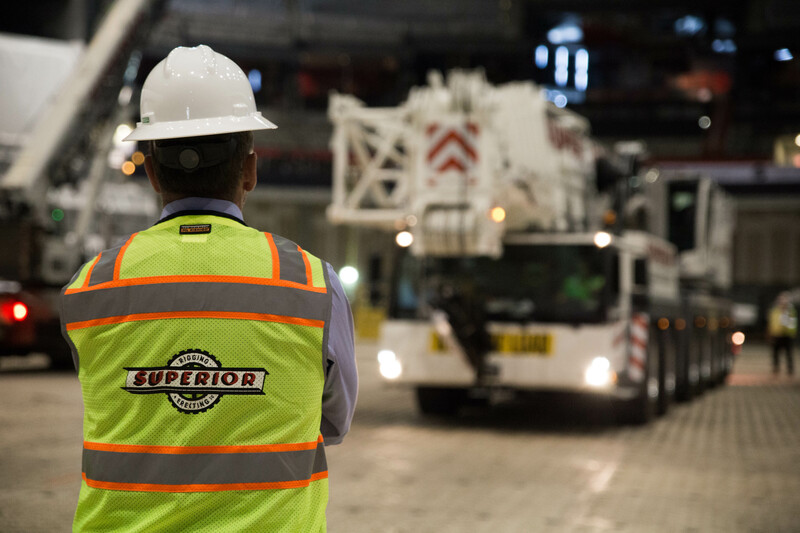 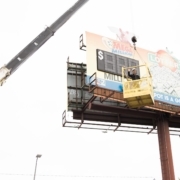 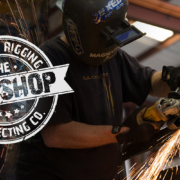 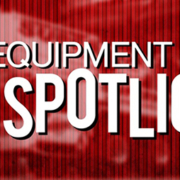 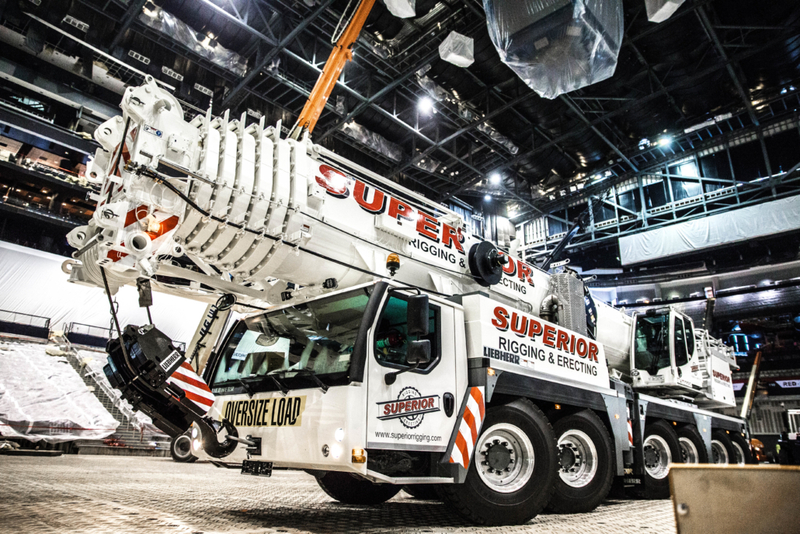 What Was The Result of Working with Superior Rigging & Erecting Co.? 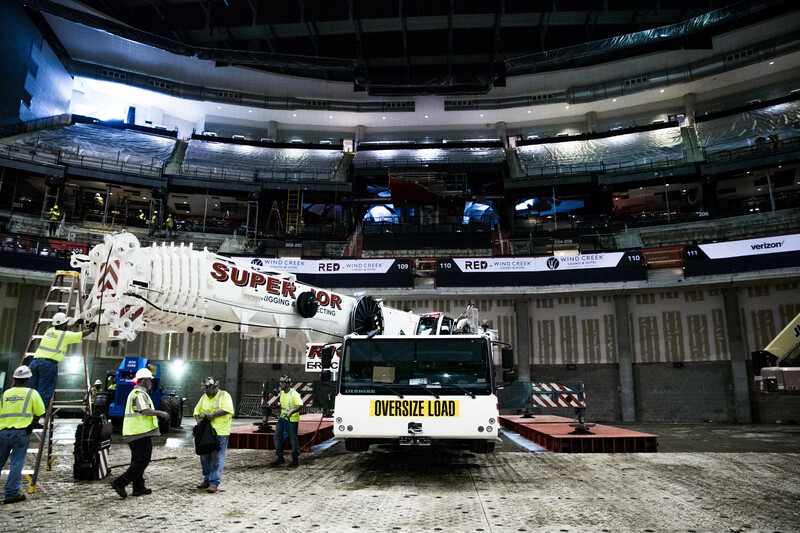 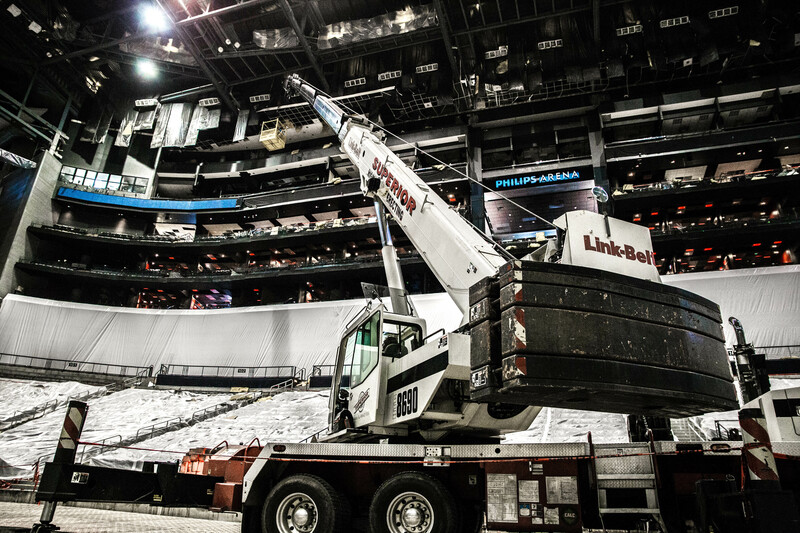 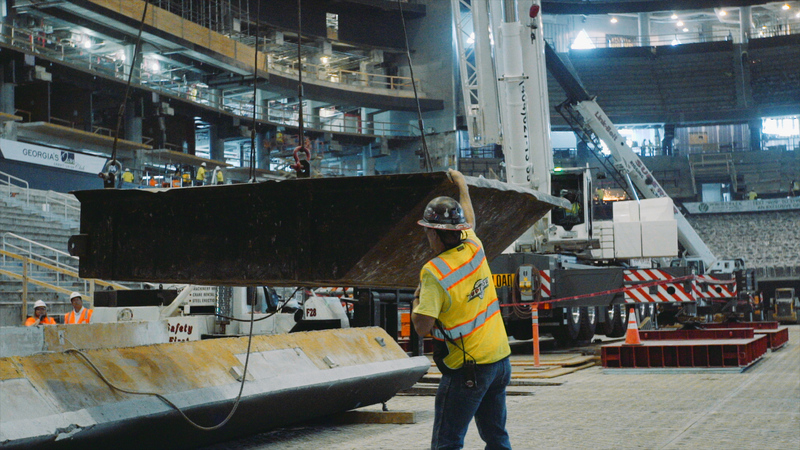 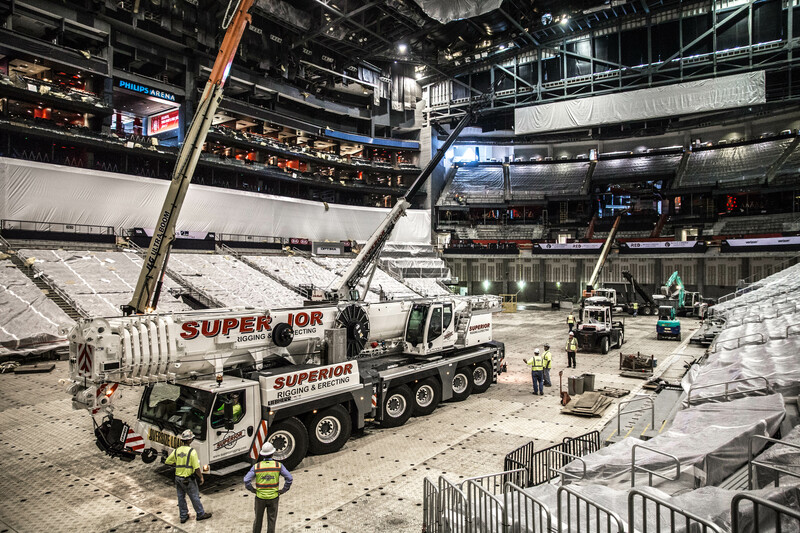 We enjoyed using our recently acquired Liebherr LTM 1300-6.2 crane to assist with the renovation of Philips Arena.